Story exchange is a powerful model based on the belief of Narrative 4’s founders. They understand that we will see the world, and ourselves, more empathetically through the exchange of personal narratives and therefore be able to solve pressing problems. Today, this belief is supported by the work of neuroscientists, as well as by the experiences of story exchange participants. Led by Narrative 4 facilitators, story exchanges are customized for businesses, community organizations, and classrooms building on four basic steps... Preparing, Pairing & Sharing, Exchanging Stories and Reflecting. Join us for Narrative 4 and harness the power of the story exchange to embolden individuals to improve their lives, their communities, and the world. Participate and engage in the authentic power of storytelling. 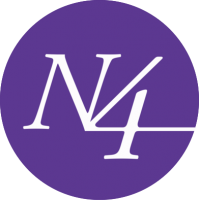 In session one, learn the history, philosophy, and processes of Narrative 4. Then, share your story, actively listen and learn from other participants in order to retell their story and build a solid respect for their ideas, experiences and actions. In session two, learn skills of artful facilitation: deep listening tools, traits of a good facilitator, positive interventions and pragmatics. Professionals at any level interested in creating positive work environments and improving the quality of communication and meaningful collaboration within a team or organization, community group or classroom. This training course is ideal for individuals leading group sessions where team members interact and share personal experiences, for leaders who wish to build empathy, compassion and understanding. A successful story exchange is the result of careful preparation and skilled facilitation that creates mutual respect among every person in the exchange. The post-exchange reflection allows participants to consider what they’ve experienced and plan for how they can build on it.